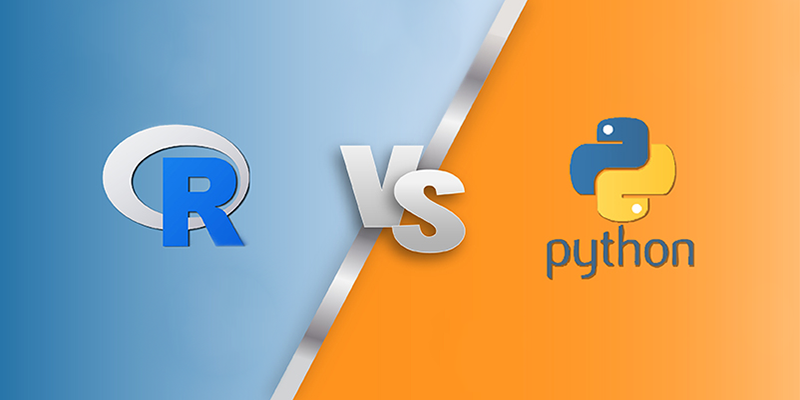 If you’re interested in a career in data, and you’re familiar with the set of skills you’ll need to master, you know that Python and R are two of the most popular languages for data analysis and which you going to choose between R vs Python. When it comes to data analysis, both Python and R are simple (and free) to install and relatively easy to get started with. If you’re a new to the world of data science and don’t have experience in either language, or with programming in general, it makes sense to be unsure whether to learn R or Python first. The purpose was to develop a language that focused on delivering a better and more user-friendly way to do data analysis, statistics and graphical models. At first, R was primarily used in academics and research, but lately the enterprise world is discovering R as well. This makes R one of the fastest growing statistical languages in the corporate world. One of the main strengths of R is its huge community that provides support through mailing lists, user-contributed documentation and a very active Stack Overflow group. There is also CRAN, a huge repository of curated R packages to which users can easily contribute. These packages are a collection of R functions and data that make it easy to immediately get access to the latest techniques and functionalities without needing to develop everything from scratch yourself. When and how to use R? 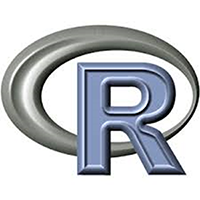 R is mainly used when the data analysis task requires standalone computing or analysis on individual servers. It’s great for exploratory work, and it’s handy for almost any type of data analysis because of the huge number of packages and readily usable tests that often provide you with the necessary tools to get up and running quickly. R can even be part of a big data solution. csv is bad because it takes strings into factors, it’s slow, etc. Provides a fantastic gallery you can borrow from others. EzdataMunch developed an extension in ‘R’ which helps in generating statistical charts without any programming or coding. And its completely integrated with Qlikview and Qlik sense. For more information on EzdataMunch ‘R’ Extension. 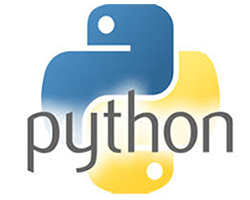 Python was developed to emphasize productivity and code readability. Programmers that want to develop into data analysis or apply statistical techniques are some of the main users of Python for statistical purposes. Like R, Python has packages as well. PyPi is the Python Package index and consists of libraries to which users can contribute. Just like R, Python has a great community, but it is a bit more scattered, since it’s a general-purpose language. 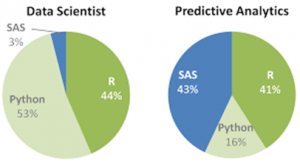 Nevertheless, Python for data science is rapidly claiming a more dominant position in the Python universe: expectations are growing, and more innovative data science applications will see their origin here. Integrates with Pandas for csv reading. Enables CSV reading of up to 2.5GB a second. js for Python, except better. Good way for your data transformations and manipulations. “Big Data” collections like parallel arrays, dataframe and lists that extend common interfaces like NumPy, Pandas, or Python iterators to larger-than-memory or distributed environments. You can use Python when your data analysis tasks need to be integrated with web apps or if statistics code needs to be incorporated into a production database. Being a fully-fledged programming language, it’s a great tool to implement algorithms for production use. While the infancy of Python packages for data analysis was an issue in the past, this has improved significantly over the years. Make sure to install NumPy /SciPy (scientific computing) and pandas (data manipulation) to make Python usable for data analysis. Also have a look at Matplotlib to make graphics and scikit-learn for machine learning. 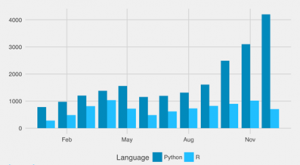 At recent polls that focus on programming languages used for data analysis, Python often is a clear winner. If you focus specifically on Python and R’s data analysis community, a similar pattern appears. There are signals that more people are switching from R to Python. There is a growing group of individuals using both languages together when appropriate. If you’re planning to start a career in data science, you are good with both languages. Job trends indicated an increasing demand for both skills. Jobs for Data Scientist in Python is more compared to R and have increased rapidly over the last few years. As you can see, R vs Python both languages are actively being developed and have an impressive suite of tools already. If you’re just starting out, one simple way to choose would be based on your comfort zone. For example, if you come from a C.S./developer background, you’ll probably feel more comfortable with Python. On the other hand, if you come from a statistics/analyst background, R will likely be more intuitive. We more often prefer to use Python. Python is a general-purpose programming language, making it possible to do pretty much anything you want to do. 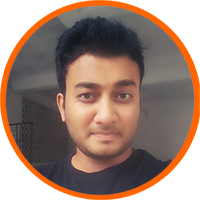 Shubham is working as a Python and Django developer at EzDataMunch. He is also involved in the Development / Enhancement of Qlik Sense and QlikView extension.